Rejuvenation skin treatments, or photo-rejuvenation, is where intense light is absorbed by the various pigments in the skin. As well as destroying these pigmented lesions, the heat generated in the dermal layer of the skin stimulates the body’s own production of collagen and elastin. Because of this, visible improvement in the overall appearance is evident. 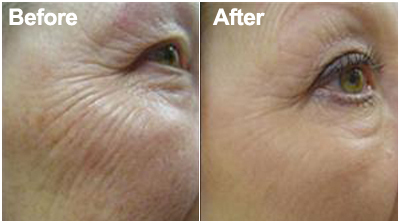 Improvements in the skin’s texture continues long after the treatment is over. Through IPL skin treatments, you can improve your skin tone and refine the texture by increasing your body’s own production of collagen and elastin. From as early as our late teens, collagen and elastin production starts to slow down. The natural ageing process can also be prematurely exacerbated by external factors such as pollution and exposure to harmful UVA/UVB rays without proper SPF protection. Compounding this are bad eating habits, smoking, stress and the list goes on! Whilst we cannot stop the ageing process, its signs may be treated with an IPL skin treatment to remove the tell-tale signs of ageing leaving the skin smoother and more evenly toned. Substantial visible improvement is achieved with minimal downtime. A booking will also be made for a follow up consultation approximately one week after the IPL treatment. At no extra cost, a light peel treatment will be performed to further enhance the results, revealing a fresher, glowing skin. (Value of peel treatment being $60). Do you want to slow down the ageing process? Contact Lose It With Laser today on 0432 162 862 today to book an appointment at our IPL salon in Box Hill.